At least seven soldiers are feared dead after a powerful explosion hit the center of Tunceli, a provincial city in eastern Turkey. Security sources believe it was a terrorist attack. Several injuries have also been reported, and ambulances have been dispatched to tend to the wounded, according to local media. The blast happened as an armored police vehicle was passing through a downtown thoroughfare on Tuesday at approximately 6:00 pm local time. 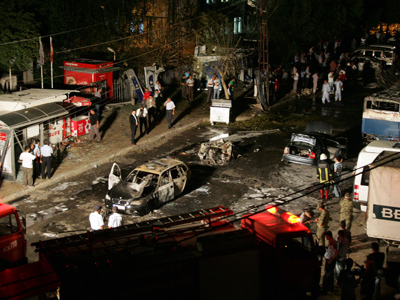 Security sources said an explosive device was planted in a parked car by the Kurdistan Workers’ Party (PKK). 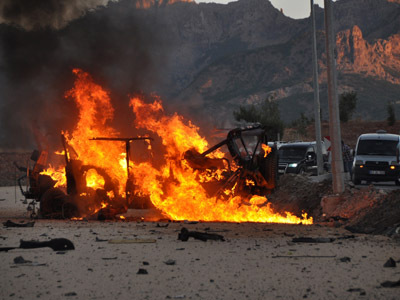 The explosive-laden car was detonated remotely when the vehicle passed by. Scores of ambulances and fire trucks are at the scene as a plume of smoke could be seen rising above the city. The explosion caused a fire in the area, and several cars in the vicinity were scorched. 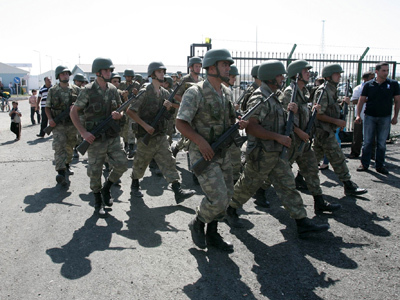 Several of the injured soldiers were whisked to the Tunceli State Hospital. There is no confirmation on the exact number of casualties, though sources say some of the injured died while in transit to hospital. Gunfire was also reportedly heard at the scene, but reporters could not confirm if a clash was underway as the area was sealed off, local Hurriyet Daily News reports. Tensions have risen between the PKK and the Turkish army recently, as Kurds across the border in Northern Syria have begun clamoring for greater autonomy following the uprising against President Bashar al-Assad. PKK fighters killed 10 soldiers and wounded at least 60 last Tuesday when they ambushed a military convoy with rocket fire in eastern Turkey. The attack came as Turkey has targeted PKK camps along the southeastern border region with Iraq in recent weeks with airstrikes. Last Monday, Turkish Prime Minister Recep Tayyip Erdogan said that 500 Kurdish rebels have been killed in September alone. A regional prosecutor was also wounded last week in a separate attack blamed on Kurdish rebels in the Tunceli province, located in Northern Kurdistan, which makes up roughly the easternmost third of Turkey. 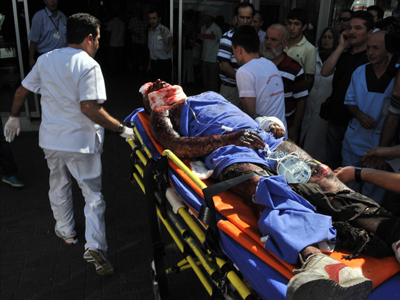 The ambush was allegedly staged by two members of the PKK, a security source told AFP on condition of anonymity. In August the PKK, which is fighting for the foundation of an autonomous Kurdish region in Turkey's mainly Kurdish south-east, kidnapped an MP near the city of Tunceli. The parliamentarian, Huseyin Aygun – who is a Kurd – was later released. 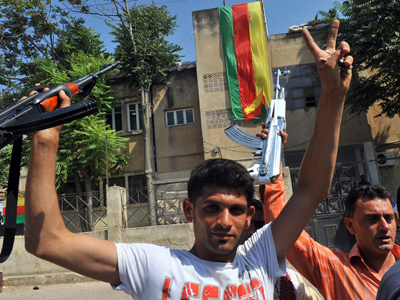 The PKK first launched a guerrilla war in 1984 to establish an independent Kurdish state in the region. While the group later dropped its aims of establishing an independent state, it is still fighting for greater autonomy and rights for Kurds. More than 40,000 people have died in the conflict which has raged on for nearly three decades.